Our next comic, Afterlife Blues, has launched! A Miracle of Science, Volume One, is available for purchase as a graphic novel. The book collects the prologue and first three chapters of AMoS. Volume Two will be available shortly. 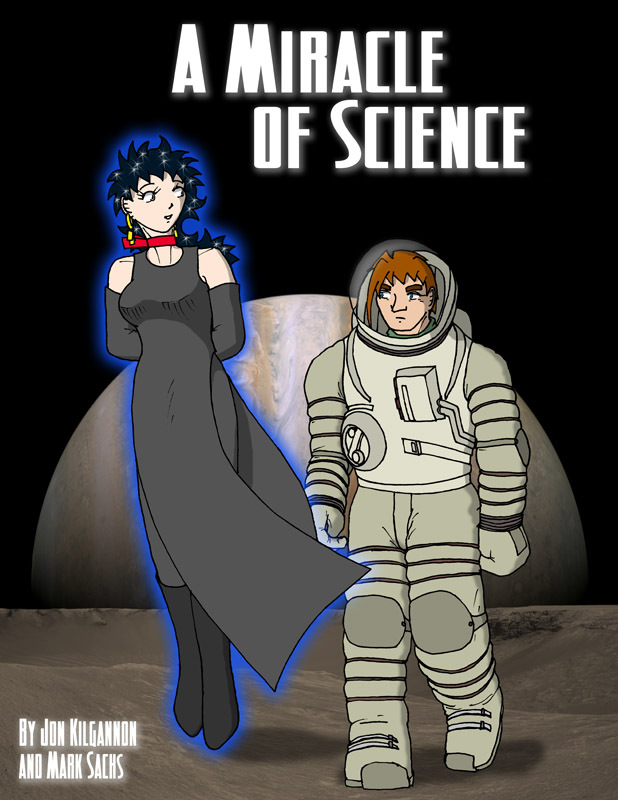 A Miracle of Science is a webcomic written by Jon Kilgannon and drawn by Mark Sachs. It ran from 2002 to 2007, in full color after Chapter 1, for a total of 435 pages of mad science, space battles, robots, and true love. Our second book, which will include all 233 pages of Chapter 4, is in production. (The first book contains the first 202 pages of the story, and is available now. That's the cover of the first book up above.) If you'd like to be notified when the second book is available, email mos@cinxia.com -- which is also our normal contact address -- and we'll let you know the moment that happens. Then we'll toss out the email address, because anything else would be just rude. Our next project is Afterlife Blues.